Listen to recently aired radio shows for inspiration, motivation and deepening of faith. In these interviews, you will discover spiritual tools that you have access to right now. Rev. Barbara reveals how to take your rightful place as co-creator with the Divine Power to live attain the life you've only dreamed of before. Today is the perfect time to change your consciousness and live your joy. Barbara joins intuitive Carole Matthews for an enlightening hour of getting to know the angels. You will learn how to connect with your angels, who they are and how they can help you in all areas of your life. To listen, go to: www.carolematthewsintuitive.com. Have you ever wondered if angels are real, where they are and what they do? In this inspiring interview, Barbara discusses who the angels are, how they help you and the five easy steps for connecting with these celestial friends through the enlightening ANGEL Talk Program. To listen or download, go to: www.universallearningseries.com. Feeling overwhelmed or stressed during the holidays? Barbara talks with Jewels on how to live your joy and stay in balance during the holiday season. She also talks about how to receive messages from your angels and does an on-air angel reading. To listen, download to your ipod or iphone, go to: www.loaradionetwork.com/jewels.html. Barbara joins Tasha Marie and Geogee to talk about living your joy in today's world. Learn how to keep the faith in difficult times and how to live an abundant life rich with love, peace, prosperity and health. Find out how practical spiritual principles can turn challenges into opportunities for growth and joy. Happiness, success and love are all within your reach. . . tune in and change your life for good! Find out exactly what a soul mate is and the real reasons why you get drawn together. Learn how to attract a soul mate and experience greater happiness. Discover how to foster growth and happiness by listening to this in-depth interview with Barbara. Host Sandy Andrew and Barbara discuss what it means to be on the spiritual path in today's hectic world. 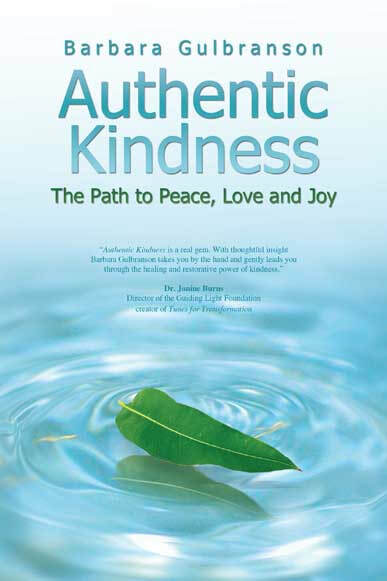 Learn how to eliminate fear and frustration and deepen your connection to the Divine Presence to live a life rich with joy, abundance, health and happiness. Are you curious about what it means to be on the spiritual path? What exactly does it mean and how does one begin? 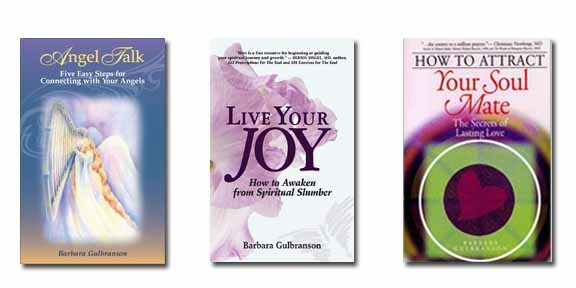 Join Barbara, author of Live Your Joy: How to Awaken from Spiritual Slumber and How to Attract Your Soul Mate: The Secrets of Lasting Love on the Law of Attraction in Action. Here, Barbara offers the keys to helping you cultivate peace and happiness in today's busy world, while incorporating the Law of Attraction. Barbara's deepest desire is that individuals live lives rich with eternal joy, everlasting peace, unconditional love, financial prosperity, creative expression and perfect health. Does this sound like a match?